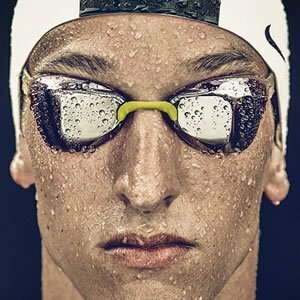 Two time Olympic bronze medallist Arkady Vyatchanin will be pulling out of US Nationals due to a nagging shoulder issue after swimming his first event of the meet during day two prelims. 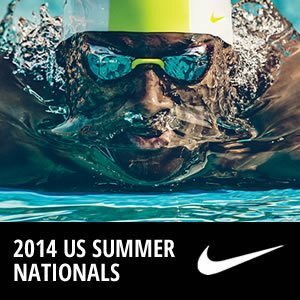 Missy Franklin is still entered in the 200 free and 100 back on Thursday at Pan Pacs, but USA Swimming has not declared that a final decision yet. Progression in her health status does sound positive, though. 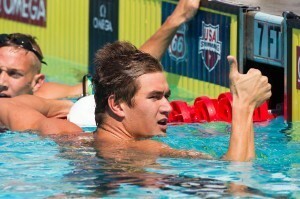 What Was Nathan Adrian Focusing On During Warmups at U.S. Nationals in Irvine? 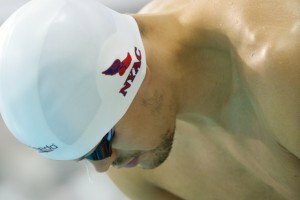 Nathan Adrian talks with TeamUSA.org about his preparations at the 2014 U.S. National Championships. 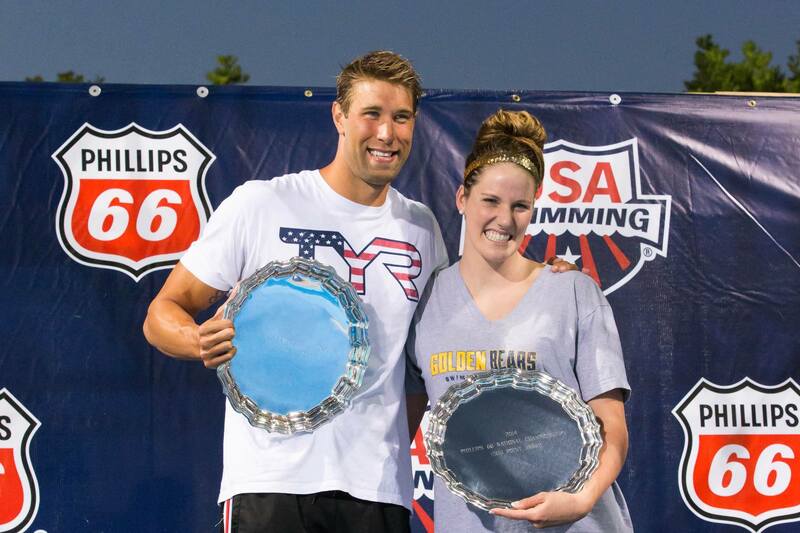 There was little change at the top of the individual high point rankings on the final day of the 2014 U.S. National Championships, thanks to a sleepy Sunday in Irvine. That means that Missy Franklin from Cal and Matt Grevers from Tucson Ford Dealers Aquatics took home the honors for the most individual points scored at the meet, based on the standard 16-place scoring system outlined below. 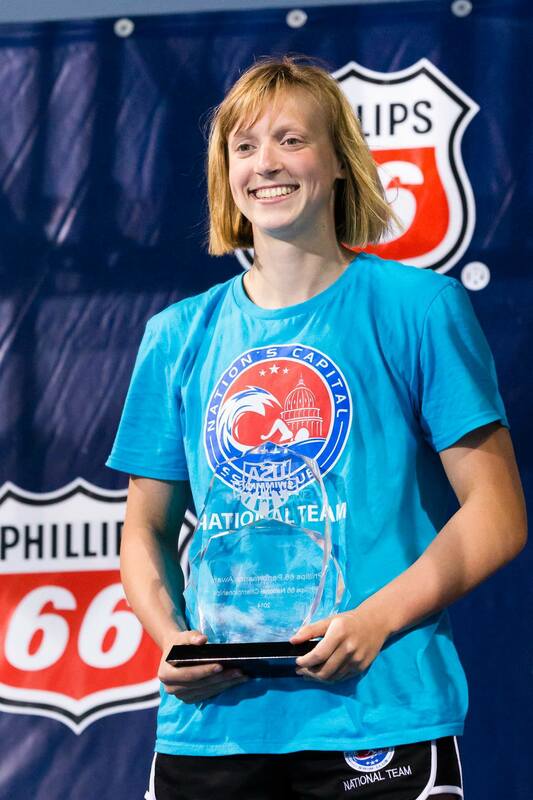 In addition, American Katie Ledecky was given the meet’s “Performance Award,” which is given to the swimmer who had the single most outstanding performance of the meet based on FINA power points. With only 1 World Record being broken in Irvine, Katie Ledecky’s World-Record breaking 3:58.86 was the only candidate for this award, earning 1003 points. Top 10 men and women are listed below. See the full lists here. 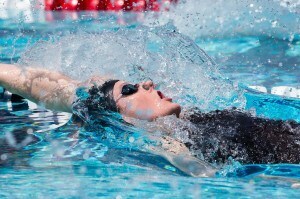 137 women and 149 men scored at least 1 point at the meet, meaning that that many legally finished at least one A or B final swim. Top 10 Women’s Scorers, including age. Top 10 Men’s Scorers, including age. 6 of 10 women are 20 year and older; 7 of 10 men are 25 years and older. 3 teenagers -all women; no men!